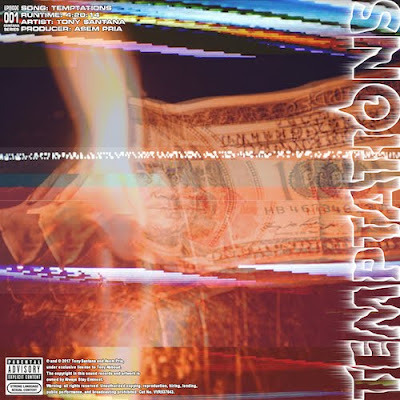 Introducing his monthly series, entitled $ANTANA SERIES, up and coming rap artist Tony $antana drops off his first record entitled, "TEMPTATIONS". Produced by Asem Pria, $antana unleashes his lyrical prowess over three sixteen-bar verses over a hard-hitting instrumental articulating on topics of the evils that come in the forms of money, women and luxury. This song is available now on all platforms including Apple Music, Spotify, Tidal and Soundcloud.